For successful ultramicrotomy in biology and materials science, precise trimming is mandatory. 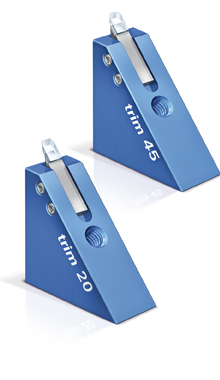 The DiATOME trim 45 and trim 20 will fulfil your trimming requirements, allowing quick, easy and accurate trimming. A well trimmed sample is a precondition for perfect section ribbons. Trimming with the trim 45 and trim 20 improves the service time of your diamond knives. When a sample is trimmed with glass knives or razor blades hard particles may be introduced in the surface or the pyramidal sides. 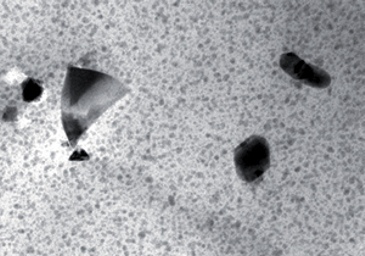 These particles immediately cause knife marks in the diamond knives.